NEW!Bahco P1-20 Bypass Secateurs - 200mm Length - 20mm Capacity. 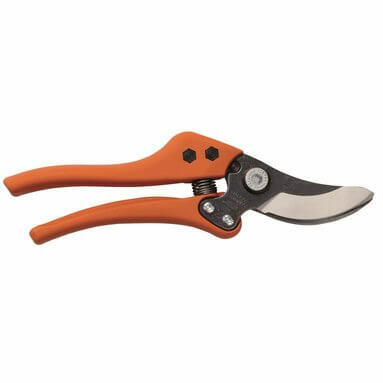 Bahco bypass secateurs ideal for pruning vineyards, orchards and ornamental plants. Features comfortable composite handles and high-performance blades. Blades provide clean cutting and slicing with precision grinding, as well as long lasting sharpness. Angled head for easier access. Comfortable handles made of composite material.